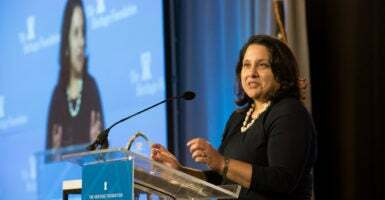 President Donald Trump will nominate Neomi Rao, administrator of the Office of Information and Regulatory Affairs, for a seat on the U.S. Court of Appeals for the D.C. Circuit. The D.C. Circuit seat in question was vacated following Kavanaugh’s confirmation to the U.S. Supreme Court. She crowed about the administration’s deregulatory successes in a Washington Post op-ed on Oct. 21. The center seeks to advance and curate debates over the scope of federal regulatory authority, increasingly a priority for conservative legal scholars who fear agency power has grown such that the regulatory bureaucracy is now its own unaccountable branch of government. According to The Associated Press, Rao is the seventh law clerk to Justice Clarence Thomas whom Trump has nominated to the federal bench.